Welcome to Sun Villas in Palm Springs! The large main house has 3 bedrooms, 2 baths and has been completely upgraded. 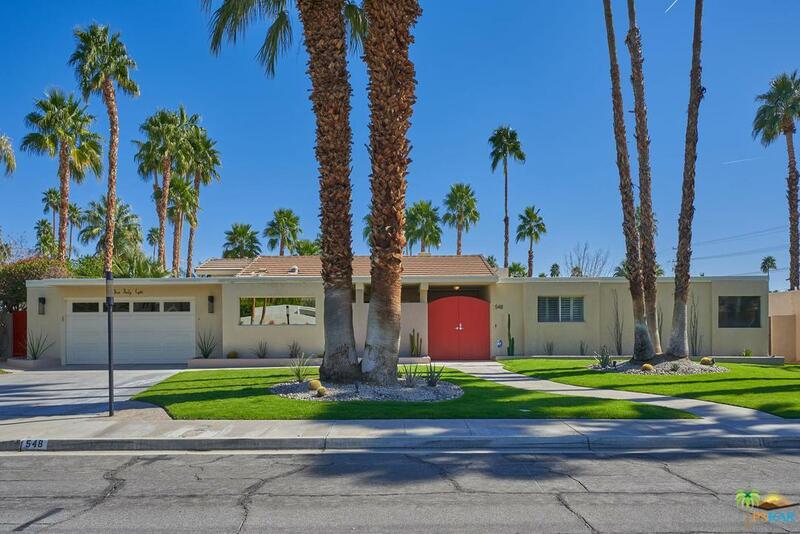 A pool house/casita has also been upgraded & renovated providing modern finishes buyers demand in today's market. Improvements include: large format ceramic tile floors, granite counters, stainless appliances including Viking, maple cabinets in the kitchen and baths, updated baths, LED lighting inside & out, music system throughout home, freshly painted, energy efficient pool pump and the list goes on?. Large, immaculate & very private rear yard with an inviting pool and spa and lots of lounging areas. Mountain views and close to the new Downtown PS - shops, restaurants, entertainment. HURRY!